The Xerox WorkCentre 6515 is the latest in innovative technology that provides high impact color, reliability and mobile & cloud features! 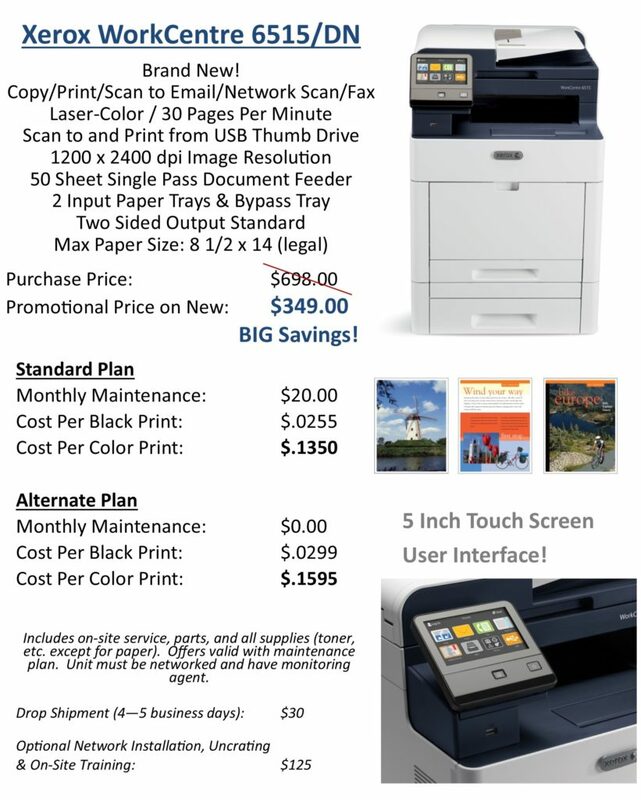 The 6515 prints in black & white and color at 30 pages per minute and scans in color. Copy, Network Print, Scan to Email, Network Scan and Fax are standard on the 6515. This multifunction printer is commonly referred to as a Workplace Assistant because of the time savings features that increase productivity and all major functions can be accessed right from the large color touch screen user interface. Check out our brand new special offer on the Xerox WorkCentre 6515! Offer ends 6/30/18. 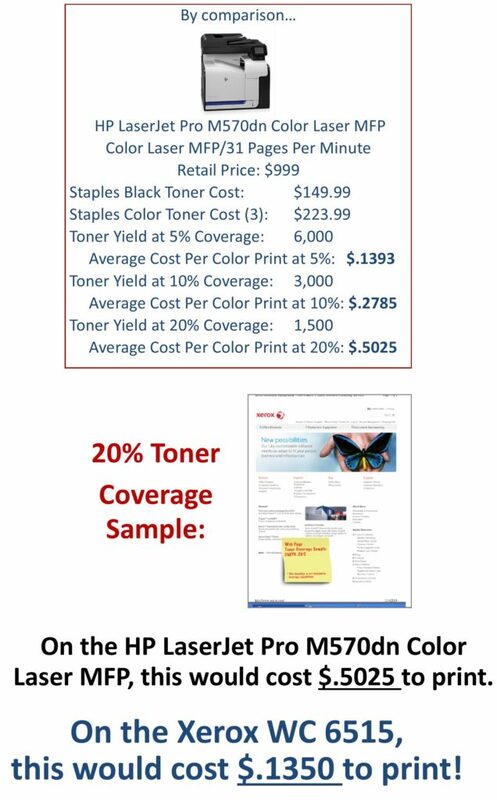 The cost per color print on the Xerox WorkCentre 6515 includes all toner and consumable supplies and is much less compared to a similar HP unit…. Contact us today for more information on the Xerox WorkCentre 6515!